Train to safely operate high voltage power systems used in marine/offshore environments with this authorised person HV training course. Book your place on our high voltage training today by filling in our online booking form to the right, or by calling the team directly. This training course is designed to give you (subject to client approval) the ability to enter marine/offshore high voltage switch rooms to perform limited switching operations etc. on high voltage equipment. After completion, you will be permitted to issue limited safety documents (for example isolation documents) but will not be able to issue permits to work, sanctions for testing etc. An intermediate level training course – you must have at least a basic level of electrical knowledge to successfully complete this programme. There are, however, no formal entry requirements for the course. With a strong focus on marine/offshore electrical power systems, this course will develop your knowledge of these systems and allow you to enter substations/switch rooms in this environments. After completion, you will have knowledge of restricted switching operations, be able to monitor the performance and condition of a system (including relay operation) and be able to work in a safe, competent manner. You will also gain knowledge and awareness of limited safety document issuing responsibilities. After completing all of the modules, you’ll take part in both a written examination and also take part in a practical examination. Both most be passed to receive the qualification. As an intermediate level training course made for marine and offshore personnel, you should work in these environments and have a basic understanding of electrical systems and their operation. It is a requirement that anyone attending training must have a good understanding of both spoken and written English. Any concerns about your suitability for this course? Give us a call and we’ll be happy to help. To train to safely work with high voltage equipment, you need a realistic simulation of the actual conditions you’ll face when working. 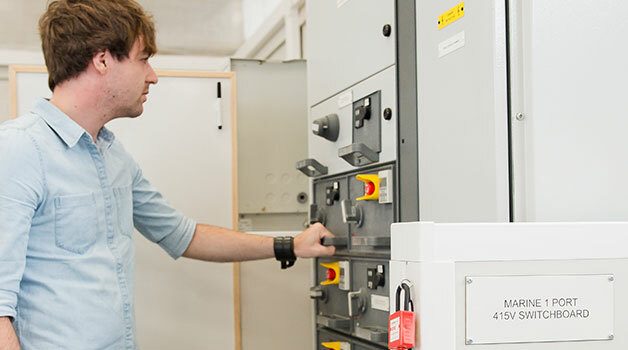 The PASS high voltage training centre has been designed to give you this experience, with authentic switchgear, transformers and other HV equipment for you to work with during your course. Our courses are led by our experienced HV training professionals, each of whom has worked for several decades in the HV industry. When you’re not out performing practical tasks in the HV centre, you’ll be in our classrooms learning the important theory behind your course, or relaxing in our canteen for your provided lunch. The PASS HV training centre is in Stockton-On-Tees, which is situated in North East England. It’s within easy access from all major motorways such as the A1 and A19 and is excellent for anyone travelling from Sunderland, Durham, Newcastle and the surrounding area. If you are travelling from further away or overseas, we can help you with finding a place to stay during the course and ensure you have everything you’ll need during your stay.